In the previous session, we acknowledged those factors impacting upon parish life today – a new and unchartered context for faith, the presumptions of our pastoral practices and questions of fruitfulness that invite change, as well as the biblical and magisterial foundations for reclaiming discipleship as our central commission. It is clear that the missionary conversion of our parishes to which we have been speaking bears implications for the ministry of the ordained, in particular the priesthood which is that Order most commonly lived within the parish and which remains the most familiar to the ordinary Catholic Christian. There is no need to rehearse at great length the way in which ordained ministry is situated within the context of the Church. 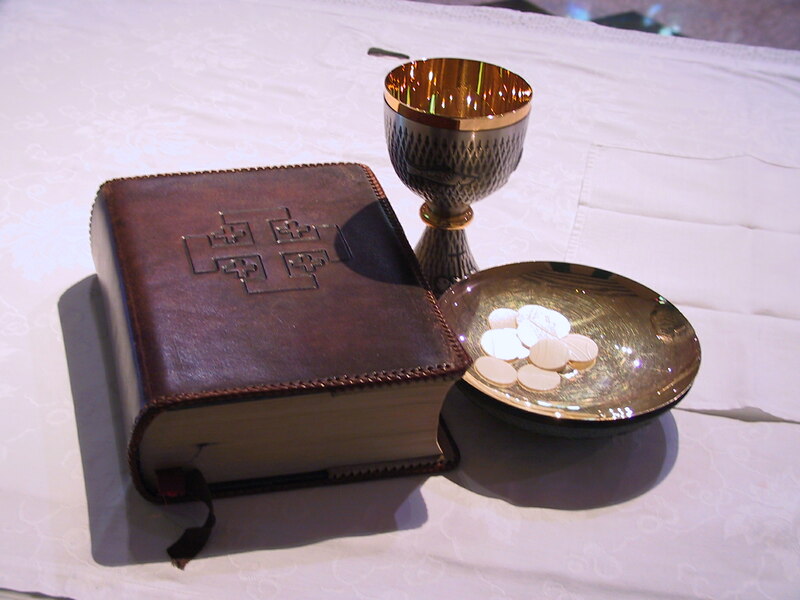 Suffice to say that the ‘communion ecclesiology’ of the Second Vatican Council recovered baptism as the primal sacrament of Christian life and brought about a renewed appreciation of the Church as an icon of the Trinity, a relationship that promotes a mutuality of exchange between believers in their various charisms, vocations and office as an expression of the unity-in-diversity of God’s own life. 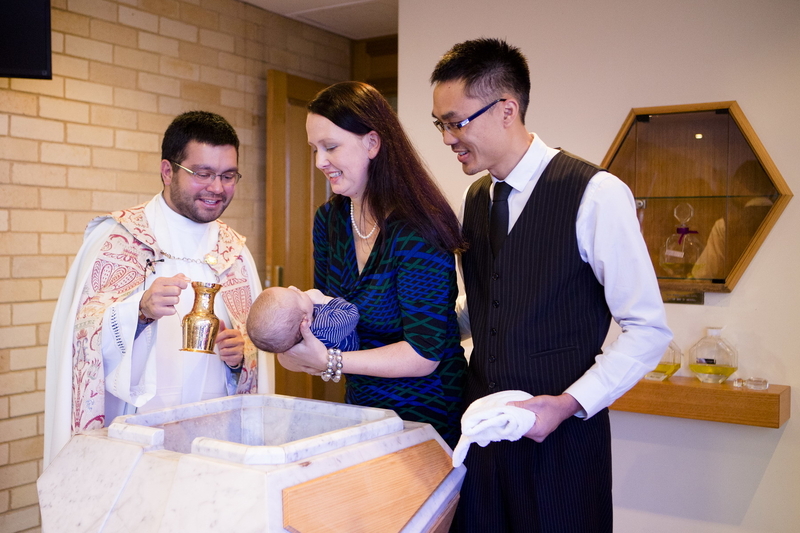 It is by our baptism into this Triune life that we are brought into communion not only with God in Christ by the Holy Spirit but also into communion with our fellow believers and the worldwide community of the faithful, into communion with those who have gone before in faith, and with the generations of the faithful yet to come. In regrounding the life of the Church, including the ordained, in shared baptismal faith, the Council also promoted the mission of the Church as the responsibility of all, a task to which each of the baptised is commissioned, and I quote from Lumen Gentium, ‘by the Lord himself’. The source of apostolic courage for this project as Christians is our common regeneration and anointing by the Holy Spirit, our consecration into a spiritual house and into the one priesthood of Christ, in its priestly, prophetic and royal dimensions. What, then, of the unique charism of the ordained set within this baptised and missionary people? It is first important to acknowledge that the understanding and practice of ordained ministry has undergone significant development and refinement – from the apostolic ministry found in the New Testament, through the age of the Church Fathers, the impact of the medieval theology of order (the effects of the eleventh and twelfth century Gregorian Reforms e.g. shift from patristic emphasis in Holy Order on God’s action upon the believer to its definition in terms of the sacred character imparted), and the baroque theology which followed the Reformation, to the insights of the Catholic revival (cf. John Henry Newman and the Oxford Movement), leading to the eventual ressourcement achieved at Vatican II. These constitute dimensions of the prophetic office, the exercise of teaching that leads the faithful to God in the Spirit and truth. These are aspects of the priestly office, the cultic or liturgical work of the presbyter. Last but not least the royal dimension of the presbyter, his pastoral government of the local community of faith. We see here in these prophetic, priestly and pastoral offices distinct elements that nevertheless inform one another in a unity. For example, the pastoral government that the priest exercises over the whole community – a form of rule that can never be exercised by the non-ordained in the sense of which a cleric does – supplies his teaching mandate with its proper form or modality, while his teaching is to be undertaken in such a way that the people committed to his charge (under his pastoral government) live ever more deeply in communion with the Church, with one another and with holiness in the wider communities and contexts in which their lives are set. Needless to say, the sacramental and liturgical assignment of the priest informs all other aspects. 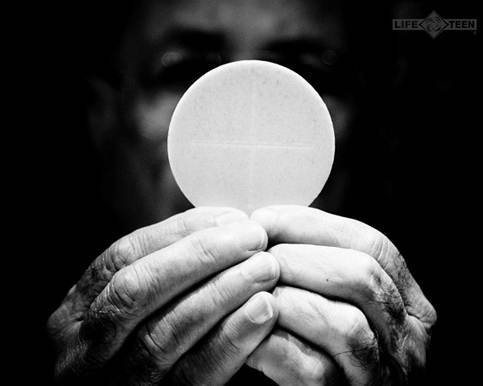 As Cardinal Henri de Lubac observed, the gift of the Eucharist in the hands of the priest is not merely the conversion of bread and wine into the body and blood of Christ but, ultimately, the conversion of God’s people by its reception. Here we see the connection between the liturgical presidency of the priest and the responsibility to form others for the apostolic life, enabling the faithful to live Eucharistic lives in self-donation to others. We see in this broad outline the ecclesial nature of ordained ministry, in service of the Church’s communion and its mission. In the language of the Letter to the Hebrews, the priest is in Christ a ‘pioneer and perfecter of faith’, shepherd of the faithful and is to equip the saints, particularly by his teaching, for building up the body of Christ in the midst of the world (Heb. 12:2; 13:20; Eph. 4:11). I would like to focus in particular on how the priest’s teaching office and his responsibility for pastoral government can best be lived today in order to serve the growth of discipleship in our parishes and evangelisation beyond the pews (sets one and three of that tripartite pattern of priestly life). It is sufficient to note that by ordination the priest does not cease to have a commitment to the evangelisation of those who are not gathered in Christ. The priest, as for the bishop and deacon, is included in the orientation of the entire Church toward mission in the world and so is called to reach out to not only those who might present with faith or form part of the existing parish but all those in their neighbourhood who do not yet know their home is with us. When priestly ministry becomes disconnected from the real experience of meeting and ‘breaking bread’ with the poor in spirit and circumstance – those without faith, those who those are existentially homeless and even those who oppose – then the call and instruction of the laity to reach beyond their boundaries of the parochial and the familiar can lack transparency and relevance. Acting in Christ the Head, the priest is called to be a pioneer in finding the lost, shepherding even those who are not yet part of the flock, and bearing his own dedicated witness to Christ in the unvarnished circumstances of people’s lives and dilemmas. We know that the future of our Church is always connected to those who are not yet believers. This calls the labour of the priest to extend to the harvest field, well beyond the confines of the ecclesiastical ‘barn’. In teaching sound doctrine for the ongoing conversion of the faithful, the priesthood demands not only disciplined training in the content of faith, but also an acute recognition that teaching, to be effective, implies that there is in fact some learning taking place. In the terse words of Richard Gaillardetz, a mere “commitment to the epistemic objectivity of Church doctrines” does not mean subjective appropriation has followed. In other words, much like the sacraments, teaching is not magic, a blunt tool applied without regard for the disposition of those who are being taught. When there is little or no understanding of the faith, we are challenged to do more than just say the same thing a little louder. As the lives of laity can change at a pace (their lifestyles, social and material circumstances), the act of teaching on the part of the priest will also mean receiving into one’s own faith and knowledge that insight of ordinary believers as they attempt to apply doctrine or practice belief in the concrete conditions of their life. In short, I would suggest that the priest teaches best by drawing not only from doctrine, as an abiding expression of faith, but also by attending to and learning from the narratives and daily practices of Christian men, women and families, which supplies genuine theological insight for the art of teaching a perennial faith in new times. The Church is not faithful to its apostolic roots merely by presenting doctrinal statements, as if there the matter rests. Effective teaching leads people to a Jesus-shaped life by connecting the meaning of doctrine, which is the Gospel, with the hopes and trials of the learner. The primary challenge for the homily, as a primary form of teaching, is not poor oratory or exegesis but the need to bring the insight of Scripture and tradition into conversation with the deepest experiences of daily life, especially for post-modern people who are intimately aware of the pain of their own past but struggling towards a coherent future. Expressed in Evangelii Gaudium as the need for synthesis, not detached ideas, this form of inculturated teaching and preaching is the work which our era demands of us and is the path which the Church has followed for twenty centuries. Of course, even in the case of sound and effective preaching, the priest cannot be expected to carry the responsibility for the missionary conversion of our parishes alone. As we have acknowledged, it is not obvious in our day that the hearts of laity are burning with the fire of Jesus’ mission in the Church and the world, as evidenced by our gentle decline and the culture of maintenance or immobility we can sometimes encounter in our parishes. How can we best move people beyond a closed culture towards a culture of apostolicity, from a routine of comfort to the boldness of mission? As leaders it first demands a shift in our own outlook and approach, from engaging our people to build up the Church to becoming a Church that builds up people. When we routinely engage people to build up the Church, the focus inevitably falls on our structures, maintenance and functionalism. For example, a parish calls people forward to maintain its own life, its ministries, functions and tasks for which there is never enough human labour. We engage people, in other words, to ‘fill the gaps’ and out of a mindset of deficiency, with the best of our energy, dedication and resources flowing into the upkeep of our established groups, ministries and schedules. However, our parishes are not called to be factories, to keep the cogs turning over at any cost. We cannot confuse our means with our end which is the abundant spiritual life and personal change of our people. As it has been expressed, ‘If you build the Church, you rarely get disciples. If you make disciples, you always get the Church.’ Parishes begin to change their culture towards mission when all forms of its preaching shift from a focus on what it wants from people to what it wants for them. In experience, our tendency to focus on deficiency and ecclesial need rather than vocation and personal calling can stymie our work, including in the raising up of young leaders. When youth leadership is recognised as the call to equip young people to lead within their life, in the context of their personal and professional relationships, this opportunity takes on a different hue that goes well beyond our parish need for more ministers. The model of a youth leader for a parish group on a Sunday night is one reality, the model of young Christian leaders in our culture is quite another. In sum, when a community understands itself as existing not for its own preservation but for the invitation of spiritual and personal change among its members and non-members, then all that the parish undertakes, its programs, groups, structures, and finance, will be seen and considered in the light of its mission to make and send disciples. We will begin to measure our parish life not by the standards of conservation – the managing of internal concerns, the parish patrimony, nest egg or tranquillity – but by the standards of our outwards mission. We will begin to gauge our life not only by our seating capacity but also by our sending capacity, and the extent of the spiritual fruit and personal change we nurture into life. In turning to the pastoral governance of the priest as whole – including building up the communion of the Church and overseeing the parish’s attempts to meet the needs of its members – there are practical steps that can be taken to lead parish renewal in a focused and also a sustainable way. To bring these practices and principles to real life, I will engage the parish of Saint Benedict in Halifax, Canada, as an example of best practice. While no parish can serve as a strict blueprint for another, and every parish differs in demographic, resources, history, leadership and personality, there are basic principles that can be shared and that are transferable from one context to another. The Parish of Saint Benedict has, over some six years of experience, missteps and learning, developed a ‘Game Plan’ that has been put into practice with great commitment over the past three years, and that has assisted this parish to become an authentic school of discipleship. The focus of the community’s leadership is on cultural change and not a mere change in mood music. Last year, I was privileged to travel to this parish and to experience the community for myself in the context of a conference. In the first instance, what was most striking about the parish of Saint Benedict is its familiarity. While the discipleship process that has developed there is exceptional, the parish building, its context, and equipment are not unfamiliar or exotic in anyway. The process of developing disciples at Saint Benedict, in other words, does not lean on its facilities. Actions – Who, When and So What? What does our parish exist for? What do we hope and dream to be as a community of faith? What spiritual fruit do we want to see in our people? What kind of disciples do we want our parish to make? Ideally, the parish vision will focus in some way or another on discipleship. It will in some way cast a vision that centres itself on the spiritual change of its members. Having established a parish vision, a parish can then identify the priority areas where it intends to live that vision most immediately within a given time frame, say three to five years. Returning to the ‘Game Plan’ of Saint Benedict Parish, there were five priorities discerned by the community as areas for focus. The parish proceeded to identify those core systems of a church, which like the systems of a body, are essential to the growth of the ecclesial body. Saint Benedict Parish arrived at the five priority areas of evangelisation, community, ministry, discipleship and worship. It was these priorities that then informed the development of the ‘Game Plan’. Special interest groups such as youth or family are noticeably absent from this list of priorities, as it is trusted that if the core systems of the parish are renewed, this rising tide in the parish will float all boats. For the ministry in the priest in particular, I am mindful that when a community has a vision but no particular priority areas in which to achieve it, it will tend to simply ‘add on’ new programs and activities to an already busy routine hoping this will affect a difference. Yet we know, even implicitly, that addition is not synonymous with increase; that ‘more’ is not always tantamount to ‘better’. We are learning on a national, diocesan and parish level that a ‘spaghetti’ approach to Church life, over-programmed with a splattering of disconnected activity, tends to encourage silos rather than unity or strength of mission. This is because events, programs and groups compete for space on the common calendar, rivalling one another for the same pool of finite resources, increasingly busy people and limited attention. If we become content with the unrolling of copious activity, without heed of the fruit these initiatives bear or otherwise, we in fact succumb to the “spiritual worldliness”, or busyness for its own sake, of which Pope Francis warns. Given that all parishes have limited resources – time, energy and personnel – there is a need for the priest to discern those priority areas which will best serve its local mission for discipleship, naming what gets done first and what is done later. Prioritising ensures the best use of constrained resources, improves the speed of decision-making as we have something to assess any new initiatives against, it can bring order to the chaos of a ‘spaghetti’ approach when there is a lot of activity but it is disconnected or not relating to a bigger vision, and reduces parish stress. We know from experience, even if it is not always named, that no one parish can ‘do it all’ and so we must choose the best things to do even over good things to do, recognising that whenever you set some priorities in a parish some people will be disappointed with our choices. We need to resist the temptation to try and meet every possible need as this will not only be impossible and impractical, or lead to burn out for your own ministry, parish pastoral council or parish staff, but responding to particular ‘needs’ does not necessarily serve the greater vision of the parish, especially when the loudest voices tend to dominate and are not necessarily the most important. 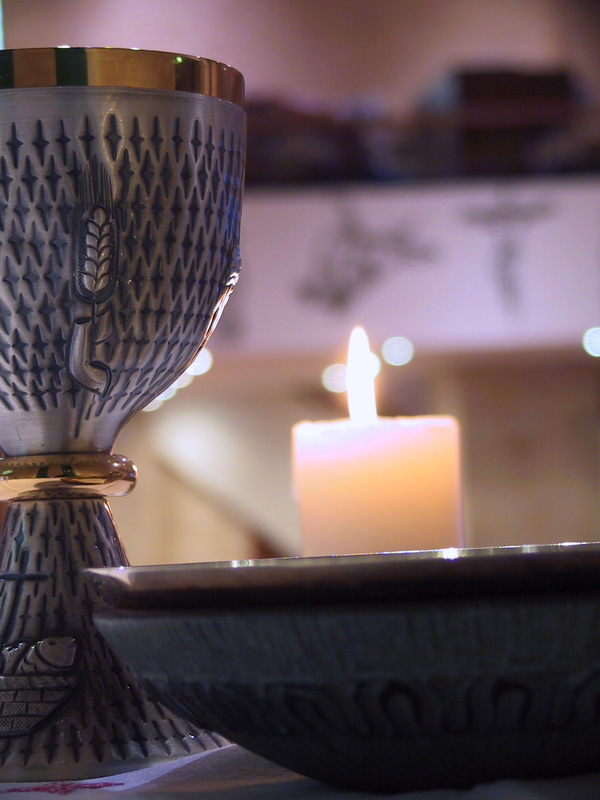 How can we best determine our own parish priorities in prayer and reflection? We can examine the current life of the parish. Our local demographics and observations can reveal urgent and significant areas that call for our response as a parish. We have tools for this self-understanding including the National Church Life Surveys conducted by many Australian dioceses. We can also consult our people for these priorities, though it is worth noting from experience that consultation processes typically surface similar and predictable priorities including youth, family life, adult faith formation, and outreach. This approach can help grow engagement within the community though it demands time. Alternatively, like Saint Benedict Parish we can examine core systems of a healthy church, systems which like those of the body contribute to the working of the whole. What strength in this area can your parish most easily build upon? What weakness in this area would be the easiest one to fix? What is the greatest opportunity in this area we could seize upon with the least amount of time and resources? What is the most immediate or greatest threat we need to address, and how? The result is that a parish has a manageable number of focus areas to address, enabling it to move forwards in areas of priority. Finally, having established a vision, prayerfully discerned key areas of priority, and identified specific strategies through a look at its strengths and weaknesses, we can then select appropriate actions to bring our strategies to real life. This form of intentional planning in priestly governance has been shown to be essential to growth and cultural change in a parish, and requires dedication, the holding of nerve and apostolic courage. However, I believe it is no more demanding than the labour of maintenance which, to draw from the imagery of the Cappadocian Fathers, can resemble toiling up sand dunes with much movement but very little progress. The often disheartening alternative in the parish is to ask ‘What should we do next?’ without the clarity and motivation of a coherent purpose or vision for ourselves in ministry and for the people in our care. In this context, it is important to say that casting vision and discerning strategies for the growth of discipleship are not meant to be undertaken alone. Christian governance in its deepest sense does not imply leading alone but leading out of a team, in relationship to others. Indeed, the unique charism of the priest, who acts in Christ the Head, is to discern those of the laity with whom the baptismal, Eucharistic and missionary unity of the parish can best be advanced. What is more, the flourishing of the laity and their involvement in the pastoral plan or initiatives of evangelisation and mission is critical to the vitality of the ordained. When discipleship and conversion are unleashed in Christian community through vision, priorities, and strategies that support cultural change, this rich spiritual life will organically evoke or call forward the governance of the priest. Such flourishing of the People of God will draw out the fullness of teaching, sanctifying and governing from the ordained. When community faith and charisms abound, it demands the office of pastoral government, expressed in the priest’s cooperation with laity in mission to the world, listening to and recognition of lay expertise, awakening and deepening the priest’s call to co-responsibility, to entrust to and invite initiative of the lay faithful, and for the priest to explore and discern with them lay vocations and apostolates. It is not only through the sacraments and the ministries of the Church that the Holy Spirit sanctifies and leads the people of God and enriches it with virtues, but, “allotting his gifts to everyone according as He wills,” He distributes special graces among the faithful of every rank . . . Those who have charge over the Church should judge the genuineness and orderly use of these gifts and it is especially their office not indeed to extinguish the Spirit but to test all things and hold fast to that which is good. While testing the spirits to discover if they be of God, they [the presbyters] must discover with faith, recognise with joy, and foster diligently, the many and varied charismatic gifts of the laity, whether these be of a humble or more exalted kind . . . Priests should confidently entrust to the laity duties in the service of the Church, giving them freedom and opportunity for activity and even inviting them, when opportunity offers, to undertake projects on their own initiative. I often wonder what it would look like if a pastor intentionally focused on this aspect of his priesthood; how would parishioners respond if they were challenged to consciously discern their gifts and call (and given help to do so), and then intentionally supported by the parish in living that call? I also wonder if a whole set of young men aren’t being drawn to the priesthood because their call is most closely associated with the royal (or governing) aspect of a priest’s office. I know priests whose priesthood is most deeply felt when they’re celebrating the sacraments, and others for whom teaching and preaching are the cornerstone of their lives. Might there not be men who would respond to an invitation from Christ to be a priest if they saw the royal function expressed more clearly and powerfully? The priest exercises leadership in parish evangelisation by forming and ruling the priestly people through his discernment and empowering of God’s gratuitous gifts, given to the whole Church for the sake of God’s mission. Whether proclaiming and teaching the Word of God, sanctifying through the sacraments and acts of worship, or building up the Church and calling out the gifts of the laity through his pastoral governance, the priest is a privileged presence of Christ’s life and mission. The riches of the priesthood are needed now more than ever, to call and awaken the charisms and gifts of the faithful through a teaching office in tune to the lived experience of those who learn, through a sanctifying office that mediates grace, a grace that calls to be received and bear real fruit among active disciples, and through a royal office or pastoral government that marshals those gifts and charisms of disciples to bear witness to Christ in the Church and the world. Divinely ordained and living in history, graced and building upon the gifts of nature, God-given and yet not set in stone, the priesthood, as much as the episcopacy and diaconate, will flourish to the extent it is expressed in faithful and effective living. Thank you for your dedication to Christ’s priesthood and mission here in the Archdiocese and in a wider world that cries out for God. Aidan Nichols, Holy Order: Apostolic Priesthood from the New Testament to the Second Vatican Council (Dublin: Veritas Publications, 1990), 142-143. Cf. Henri de Lubac, The Splendor of the Church, translated by Michael Mason (San Francisco: Ignatius Press, 1999). There are echoes of de Lubac’s thought in St John Paul II’s 2003 encyclical, Ecclesia de Eucharistia. Richard Gaillardetz, “Power and Authority in the Church: Emerging Issues”, A Church with Open Doors (Collegeville, MN: Liturgical Press, 2015): 93-94. Pope Francis, Evangelii Gaudium 143. Sherry Weddell, Forming International Disciples (Huntington, Indiana: Our Sunday Visitor, 2012), 84. Weddell, Forming Intentional Disciples, 85-86. It can be relatively easy to speak of ‘the Church’ in general terms and the last fifty years have certainly seen a great deal of such talk. The range of debate and literature concerning the Church is almost inexhaustible, including such subjects as the Second Vatican Council, the relative merits of post-conciliar reform, the proper form/s of the liturgy, the relationship of the Church and world, the exercise of governance and authority in the Church, the coresponsibilities of the ordained and lay, and more recently the meaning and implications of a ‘new evangelisation’. It was conciliar peritus and ressourcement theologian Henri de Lubac SJ who pointed out that such talk of ‘the Church’ was relatively rare in the age of the Fathers. For the ancients, the Church was less a discrete body that existed outside of ourselves than it was a common atmosphere which formed our faith, our very life, from within. The Church was the ‘womb’ in which Christian life was born, the ambience in which the human spirit were raised to God and indeed, in a certain sense, it was our destiny as a communion, a people reconciled to God and one another.
. . . some people find themselves tempted to say there is altogether too much talk [about the Church] . . . Would it not be better perhaps to try, quite simply, to live the Church, as so many have done before us? It seems that by considering her from outside in order to discuss her, we run the risk of growing apart from her, in our heart of hearts . . . And in addition to this . . . the Church is a mystery of faith and ‘surpasses the capacities and powers of our intellect no less than any other.’ (De Lubac, Splendour of the Church, 18-19). However, even de Lubac, a lodestar of the ressourcement movement, would admit that circumstances arise in which the Church must proclaim a word about itself in order that its vocation and mission in Christ do not fall into disregard or forgetfulness. Here in Australia, in the midst of a Royal Commission, we know that this process of self-reflection, self-understanding and scrutiny is essential to our faithfulness into the future. Words need to be spoken and truths be told. This need of self-reflection and scrutiny extends also to our parishes which, as local communities, are called to bring the Gospel into contact with the unvarnished reality of a particular people in a particular place. It is in the parish where ecclesiologies are tested and it is in the parish where our mission as Church begins, born of the Word and Eucharist. It is in the parish where the meaning of faith is mediated to contemporary culture, and it is the parish that remains the most important locus in which the mystery and contradictions of human life meet the healing company of God. 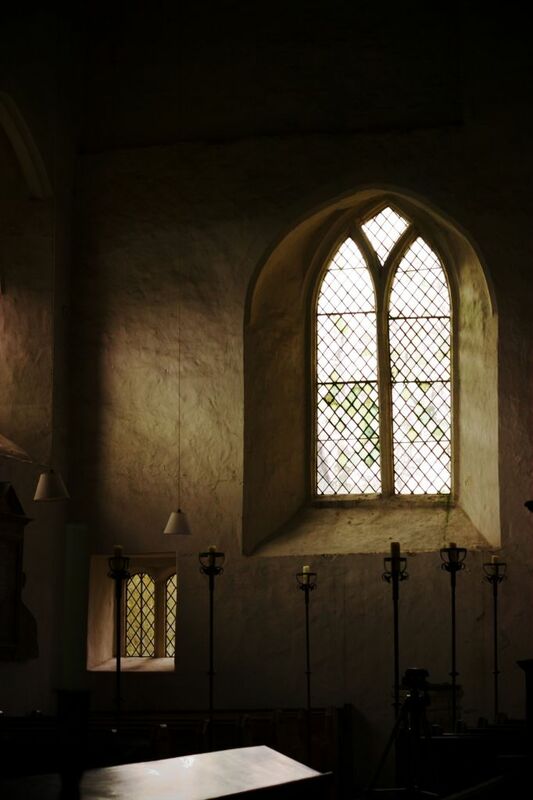 For many, the parish simply is Church and they know no other. 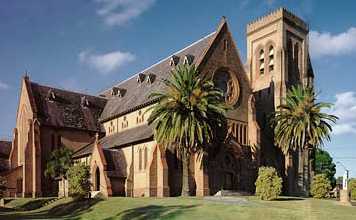 However, with less than 10% of Catholics attending a parish Mass on any given Sunday in many Australian dioceses, Lismore included, it is clear that there is a significant disconnect between what is understood to be ‘going on’ in our parishes and people’s larger lives, struggles and aspirations. In addressing areas of renewal for parish life, it is vital to retain some perspective about statistics concerning the Church. First of all, as least as far as I am aware, the Catholic Church has never experienced a Mass attendance rate of 100%. We know even at the Last Supper that at least one disciple was not convinced of what was offered. In speaking of the relative vitality or diminishment of our parishes, we should not measure our pastoral effectiveness or ‘success’ against a mythic Golden Age that has never existed. There have better times, yes, but not all churchgoers are disciples. We are where we have always been as Church – in the midst of the work yet to be done, gathering the harvest when the workers are few. It is also worth noting as perspective that statistics are not the only measure of a Church’s vitality. Indeed, our Church was never more ‘catholic’ than in the Upper Room at Pentecost when all of its members could fit inside a tiny room. So ‘good church’ doesn’t not necessarily mean ‘big church’, and faithfulness is not measured in the size of a crowd, though we do want our parishes to grow, to make mature and more disciples in every generation. Continuing on the level of diagnosis for the moment, a further point worth making is that the decline in commitment and participation in some of our Catholic parishes is not only or merely a product of what is ‘going on’ in our parishes but also deeply influenced as well by what is happening in the wider community and culture. In short, there are bigger factors at play and these need to be acknowledged when talking about the state of play in our parishes. (In the same way the legacy of Vatican II was shaped not merely by the Council itself but changes in the wider culture). For our parishes, it is becoming clear to a number of commentators that a ‘consumerist’ mentality is shaping how many Catholics understand, relate and interact with the parish, and the parish priest, today to the detriment of their genuine discipleship. The American priest Michael White makes this point well in a recently published work, Rebuilt. In telling the story of his own parish upon his arrival as parish priest, White notes that the people he met struck him not as disciples at all but quite simply consumers. It had become common for the parish to be treated as if it were ‘there for me’. It had become a mere provider of services, filled with programs and services to cater to ever increasing demands, but it was not a community of mature, convinced or missionary discipleship. Little did we appreciate how detached the second and third generations of demanding consumers had grown. We now know they are perfectly comfortable maintaining a loose association with an institution whose organisation they do not like and whose teachings they do not accept or respect. They take what they want and ignore everything else. To their credit, our consumers are specific and consistent in their consumer demands. They want church for their kids – mainly Baptism, First Communion, and a part in the Christmas pageant; they want church as an adornment to their family calendar – Christmas Eve, Easter Sunday . . . they want Communion when they feel like showing up for Mass. They want the church building as a backdrop for funerals and perhaps for weddings – but only if the church is pretty (because weddings are destination driven). Beyond that, we’re mostly an annoying distraction. But we were inconsistent in our ‘supplier demands’. Our system implicitly understood the ‘hook’ we had into their lives and essentially coerced them to do all the things they didn’t want to do; attend regularly, give us money, and keep their kids in religious education. We kept dreaming up new rules to try to make the system work for us while they kept figuring out new ways to circumvent our rules to make the system work for them. The result was the mutual cynicism to which a consumer mentality can easily lend itself. (White, Rebuilt, 17). It is a challenge to consider that many of the people we are seeking to re-engage with the Church bring not the question “What can I do to serve?” or, even less likely, “Whom I called to be here?” but rather “What can the Church or parish do for me?” This rather pragmatic, utilitarian outlook can not only shape a lack of ongoing commitment among some of our people but it can distort our own pastoral responses to such ‘Catholics of convenience’, however good or hopeful our intentions may be. We can see this at times in the urge to renovate parishes, to upgrade halls and carparks, for example, a facility focus which, I acknowledge, is often necessary but that can nevertheless only support a community of disciples and not attract, create or sustain one. 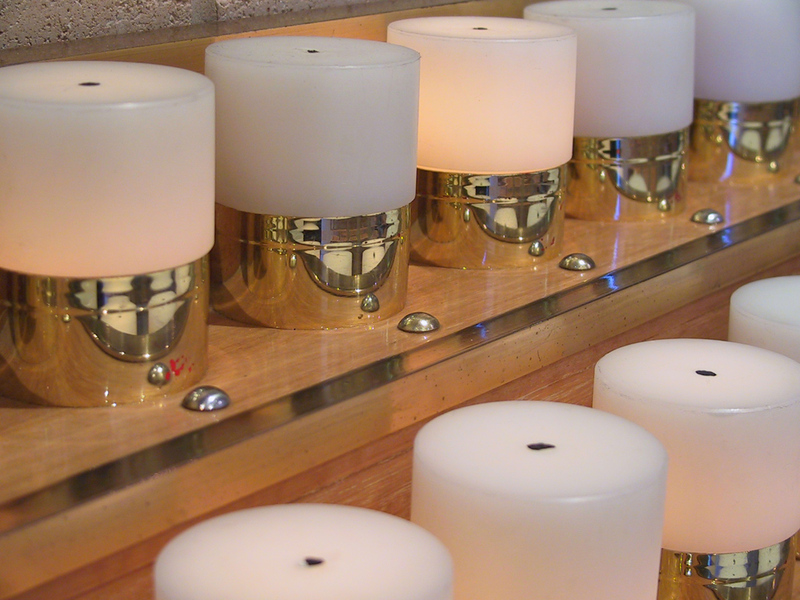 We know that even the most pristine, beautiful, well-organised and comfortable parishes can be spiritually dead if they do nothing but cater for the comfort and convenience of a consumer mindset. Consider also Europe which houses some of the most majestic, beautiful churches in the world, churches that remain, nevertheless, idle and empty. It has always been much easier to renovate a building than grow a community of disciples. From an internal perspective, the absurdity of the situation that White describes is that we, too, can play the game as we are wise enough to know what these ‘consumers’ want. We understand the ‘hook’ we have in their lives (whether its admission to our schools or a priest for a family wedding) and we can leverage on these desires to attempt to make them do what we want them to do which is to ‘attend more regularly’ or even ‘give us money’. The problem is that this entire scene remains fundamentally misguided, played out on the level of pharisaical diplomacy and has little if anything to do with making disciples which is the true goal and mission of our parish life. The process of bargaining over the practice of faith in our parishes and in our schools only increases negative perceptions and resentment of the Church by ‘outsiders’, deflates a sense of hope and generates cynicism within ourselves as ‘insiders’, and ultimately does little to bring people to a living and open encounter with the person, message and mission of Jesus. So what of the way forwards? In recent years, even decades, there has been a slow but steady call to reclaim the language and meaning of discipleship and for good reason. Not only is the concept of ‘discipleship’ biblically-grounded, rooted in tradition and accessible to the majority of people but it aptly names the purpose of the parish community: to foster and raise up disciples in the midst of the Church for the sake of the world. Catholics have come to regard it as normal and deeply Catholic to not talk about the first journey – their relationship with God – except in confession or spiritual direction. This attitude is so pervasive in Catholic communities that we have started to call it the culture of ‘Don’t Ask, Don’t Tell.’ Unfortunately, most of us aren’t spiritual geniuses. If nobody around us ever talks about a given idea, we are no more likely to think of it spontaneously than we are to suddenly invent a new primary colour. To the extent that we don’t talk explicitly with one another about discipleship, we make it very, very difficult for most Catholics to think about discipleship. (Weddell, Forming Intentional Disciples, 56). What Weddell seeks to recover is the fact that a personal, interior journey and encounter with Christ is at the heart of discipleship and at the heart of the Church’s mission as the sacrament of Christ. More strikingly, she will go on to claim that a majority of churched Catholics, even those who show up at Mass, may not yet be disciples in a fully conscious way. She notes that those Catholics who do talk openly about Jesus and their relationship to God, and with any enthusiasm, can be viewed with suspicion, as either ‘Protestant’ in spirit or as pretenders to sanctity. 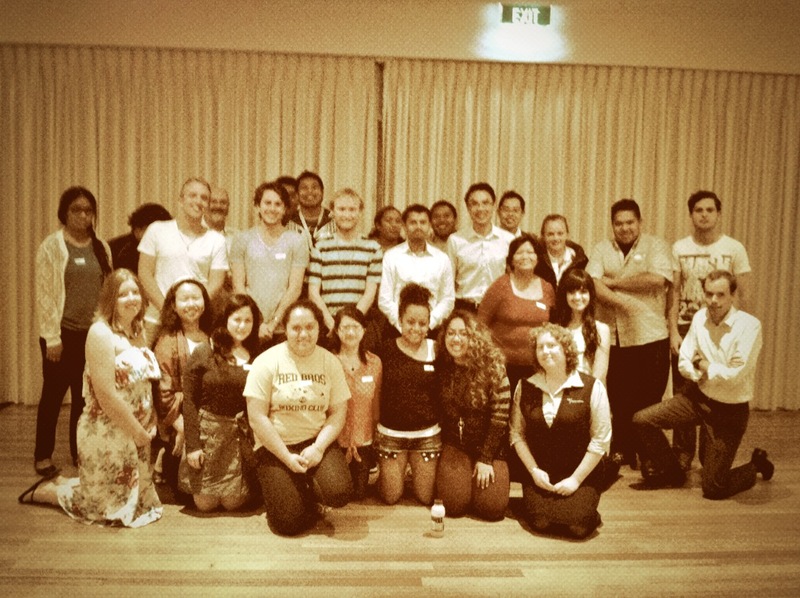 While we are certainly not called to be spiritual exhibitionists, there is, I think, a challenge here – to revive the conversation and expectations of discipleship in our parish culture and to recognise the overt expression of discipleship as the ‘new norm’ for our parishes, or more accurately, the altogether traditional and abiding norm of Catholic life. [The Church of the Nativity] was a sacramental machine: Mass every day, twice a day in Advent and Lent, and eight times each weekend, baptisms, confessions, weddings, funerals, daily devotions, anointing, and adoration. It’s all good stuff, it’s how some Catholics grow spiritually. For others, it’s what they do instead of grow . . .
For certain, the sacraments give us grace to put us in right relationship to God and his life in our soul, nourishing and strengthening us for our discipleship walk. But they’re not mean to replace it. (White, Rebuilt, 77). It has been said, often of our families progressing through the rites of initiation, that people can be ‘sacramentalised’ without ever having been evangelised. Of course, we want to underscore attendance at Mass as a core dimension of a life of faith, to receive Christ in the Eucharist and to hear his Word, and yet, in another sense, an almost exclusive emphasis on attendance can place into the shade a broader focus on discipleship within which the sacraments hold a central and inimitable place. The problematic as I view it is that if discipleship is reduced to liturgy alone then even the practice of attending Mass is likely to weaken over the long term as the very point of a sacramental life is lost on those participating. ‘Sacraments without discipleship’ only feeds the form of ‘consumer Catholicism’ or participation of convenience of which we spoke earlier. Our contemporary context calls on priests, parishes and centres of adult formation alike to again place discipleship at the front and centre of our identity and mission as a Church. We must also seek to make explicit the link between the Eucharist and mission, for instance, so that it becomes clear that the point of the Eucharist is not simply the conversion of bread and wine into the body and blood of Christ but our conversion by our reception of Him. By reaffirming this role of the sacraments within a life of discipleship we not only recover the fullness of the call to holiness but renew an awareness of the sacraments as not merely a comfort but also a challenge, not as objects for consumption but a relationship in which we are invited to grow and develop over time. This recovery of the full view of Catholic discipleship stands at the heart of our mission as parishes and dioceses. 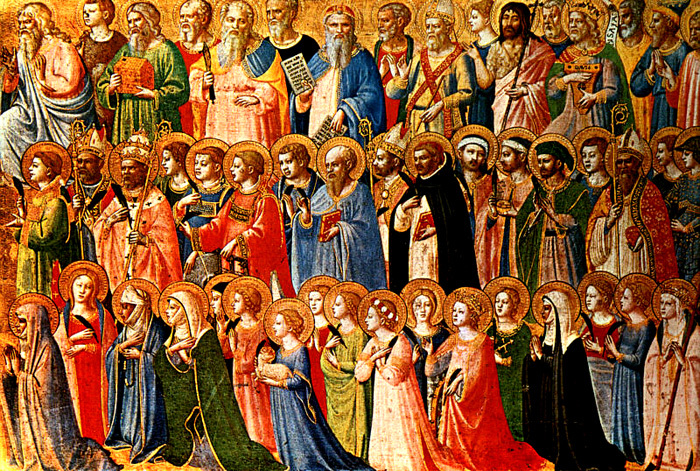 The Feast of All Saints may seem some distance from the practical realities of parish life – and light years from the task of pastoral planning – and yet it remains central to what the Church is in its deepest reality and what she seeks to become: a communion of holy men and women who give historical witness to the power of Christ in their lives. In these saints the Church sees her own vocation and mission realised in flesh and, more often, blood, and it sees that the gift of eternal life is not merely a promise but has been brought to fulfilment in the lives of men and women throughout history. It is clear in parish life that the past fifty years or so have seen a decline in the veneration of the saints along with other practices of piety. There are many reasons for this ongoing alienation from the saints, too many to rehearse here, but they include their trivialisation as well as their romanticisation. 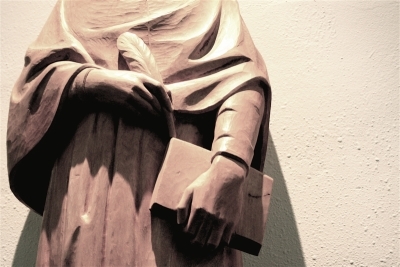 While their names adorn our churches and schools, are plucked out as confirmation names (with the notable exception of St Adolf of Osnabrück) and appear in our liturgies from time to time, the sense of connection between this ‘cloud of witnesses’ (Heb. 12:1) and our Christian life in the here and now can be pretty thin to say the least. The reality of real and constructed saints (for instance, the case of St Philomena who as far as I can tell never existed) and their eccentric hagiographies only complicates the matter. The neglect and trivialisation of the saints has led theologians to write of the ‘disappearance of a doctrine’ and while it is true that the Second Vatican Council neatly addressed them as “examples of holiness”, as offering “fellowship in communion” and “aid in their intercession” (Lumen Gentium 51), ever since the saints have gone marching out. Their relevance to the lives of ordinary Catholics is rarely preached, they are not often discussed by theologians and their significance is frequently passed over in programs of adult faith formation. The upshot is that the cult of the saints remains largely confined to the arena of personal piety or devotion and holds little intellectual credibility, currency or appeal for the ordinary Mass-goer.
. . . if people think of their own nearest and dearest as disappearing at death into that darkness which surrounds the meagre light of our existence with its silent infinitude, how can they then find it in themselves to take up an attitude of veneration towards other dead persons merely on the ground that they were holier? (Rahner, “Why and How Can We Venerate the Saints”, Theological Investigations VIII, 7). What we can draw from this is that the alienation from the saints reflects an alienation from the sacred in general, a disenchantment that closes the door between this world and the next, that no longer sees the bond between heaven and earth, that holds no vision of the thoroughfare between the two that remained upmost in the minds of our ancestors in faith. As a word to this ancient tradition, the sanctorum communio first entered into the Apostle’s Creed in the fourth century, with testimony of its inclusion given by Nicetus, a bishop of Remesiana (present-day Serbia). The communion of saints also appears in St Jerome’s Credo, a contemporaneous Latin translation of a creed that was used in Antioch. As noted by de Lubac, the reference to the sanctorum communio that appears in our creed today contains a double meaning present from the very earliest versions of the profession of faith – referring both to the holy ones of the Church, the persons of the saints, as well as to our participation in ‘holy realities’, notable the Eucharist. The communion of sancta, then, describes both the mysteries of Christian worship as the source of holiness (sacramental communion) and the effect of those divine gifts (a communion of holy persons). This provides an explanation for those who have ever wondered why the creed seems to make no mention of the Eucharist, the source and summit of our faith. Imagine a circle marked out on the ground. Suppose that this circle is the world and that the centre of the circle is God. Leading from the edge to the centre are a number of lines, representing ways of life. In their desire to draw near to God, the saints advance along these lines to the middle of the circle, so that the further they go, the nearer they approach to one another as well as to God. The closer they come to God, the closer they come to one another . . . Such is the nature of love: the nearer we draw to God in love, the more we are united together by love for our neighbour. As imitable models of holiness in its spiritual and social dimensions, the saints draw us into intimacy with God, their sanctity challenging us to conversion in the present and renewing our basic awareness of our capacity for grace. Gregory of Nyssa remarks that the saints cast light, like lamps, upon the path for those who are walking with God, having done God’s will throughout the ages. In their suffering as well the saints emerge as models of Christian life, following as they do the way of self-emptying and self-giving of the crucified Christ and personalising the future which all faithful disciples will receive as their reward, a redeemed humanity in the eternal glory of God. It can be seen even in this brief overview that in their great variety, common witness to holiness and testimony to the fulfilment of God’s promises, the saints are a source of hope, challenge and companionship for ourselves personally and our life as a Church, including our parishes. 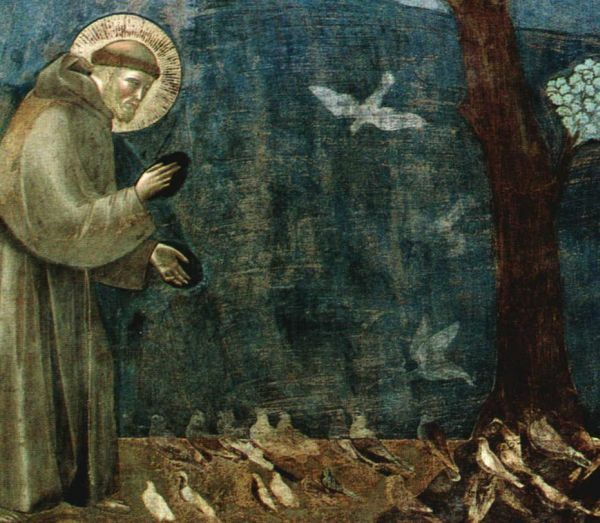 The saints capture or embody the purpose for which communities of faith exist, for the making of holy disciples within the Church for the sake of the world. By the practice of invocation, the remembering and retelling of holy lives, the celebration of feast days and in praying the litany of saints, the promise of eternal life in Christ remain not only within our line of sight but surrounds us in the very company of holy men and women who already, even now, live in that light which knows no setting. 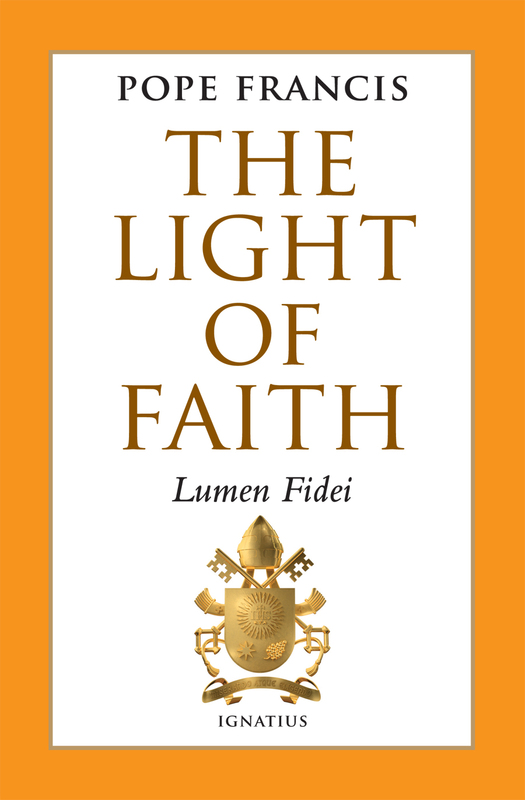 Originally intended for publication earlier this year as Pope Benedict’s fourth encyclical and the final in a trilogy on the theological virtues, Lumen Fidei (‘The Light of Faith’) was promulgated this past Friday in the name of Pope Francis. Peter was not alone in writing [his] Letter but it expresses the faith of a Church . . . He does not write alone, as an isolated individual; he writes with the assistance of the Church, of people who help him to deepen the faith, to enter into the depths of his thought, of his rationality, of his profundity. And this is very important: Peter is not speaking as an individual, he is speaking ex persona Ecclesiae, he is speaking as a man of the Church. Likewise, Francis’ encyclical is received not as the word of a private individual apart from or above the Church but an expression of the faith of the communion of which he is called, in his person as ‘Peter‘, to be witness and shepherd. Lumen Fidei begins by addressing the very dilemma of faith in the contemporary world. Christian faith is so often seen by many as contrary to reason, not as a light that opens up the world but a darkness which stifles and even represses human creativity and the quest for knowledge. Even those who have sought to make room for faith have undermined it by promoting faith, erroneously, as a ‘leap in the dark’ driven by blind emotion. Others who champion autonomous reason as the answer to humanity’s future have often realised that their questions remain unanswered and this has led to an abandonment of the very search for truth itself in favour of “smaller lights which illumine the fleeting moment yet prove incapable of showing the way” (LF 3). Humanity remains hungry for a firm ground on which to stand and hence remains unfulfilled as it experiences the darkness and insufficiency of the world and itself. On reading these opening remarks, the influence of Benedict stands out. His 1968 work Introduction to Christianity begins with this same confrontation of the very possibility of belief in the world of today. 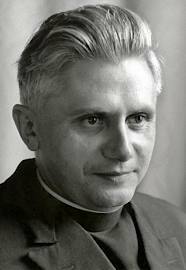 Indeed, the same temptations for the believer and unbeliever alluded to in Lumen Fidei (that of fideism or refuge in rationalism in the face of life’s questions) are raised by the early Ratzinger as prompts toward a fuller understanding of the ‘openness’ of faith, “Just as the believer knows himself to be constantly threatened by unbelief, which he must experience as a continual temptation, so for the unbeliever faith remains a temptation and a threat to his permanently closed world” (Ratzinger, Introduction to Christianity, 45). The recurring challenge of human finality and the quest for human understanding rescues both the believer and unbeliever from being shut up in their own worlds, resisting any tendency to self-satisfaction and urging humanity onwards in the search for truth. 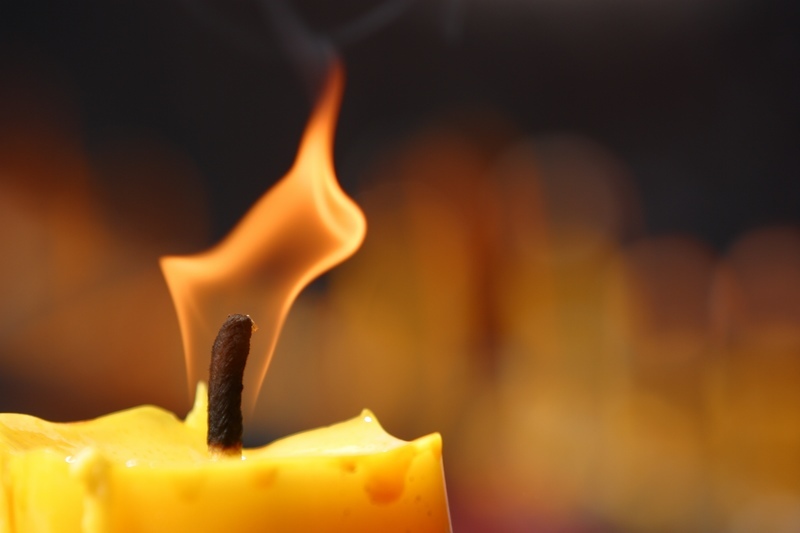 Lumen Fidei seeks to propose the light of faith as the guide to this truth that we seek, a light that illumines all aspects of our existence in illuminating God as one who addresses us personally. It notes that the word of God that called Abraham, ‘our father in faith’, is not alien to human experience but always present at the core of our being. It follows that Abraham’s response to that divine calling, Abraham’s faith, “sheds light on the depths of his being, it enables him to acknowledge the wellspring of goodness at the origin of all things and to realise that his life is not the product of non-being or chance, but the fruit of a personal call and a personal love” (LF 11). Faith in God, then, as one who creates and calls is not an extrinsic act or a merely ‘religious’ commitment but an integral and humanising project and gift which, when received, unveils our true vocation in the life of God himself. The faith of Israel that would follow Abraham further reveals faith as a summons to a pilgrimage with the Lord that calls through the concrete events of our life. The history of Israel also sounds a note of warning, that of idolatry which reveals our own tendency toward control and vanity, as Lumen Fidei makes clear, “Idols exist, we begin to see, as a pretext for setting ourselves at the centre of reality and worshipping the work of our own hands” (LF 13). While commentators have seen in this discussion of idolatry the hand of Pope Francis, it is one that was certainly shared by his predecessor in his writings on the liturgy among others (see Ratzinger, Spirit of the Liturgy, 22f). The overall thrust of the text is to underline the paradox of faith, that is, as in all loving relationship, by our constant turn towards the one beyond our control, and by the surrender to what we did not initiate, we become more and not less ourselves, freed from the slavery of our own self-absorption and insecurities. 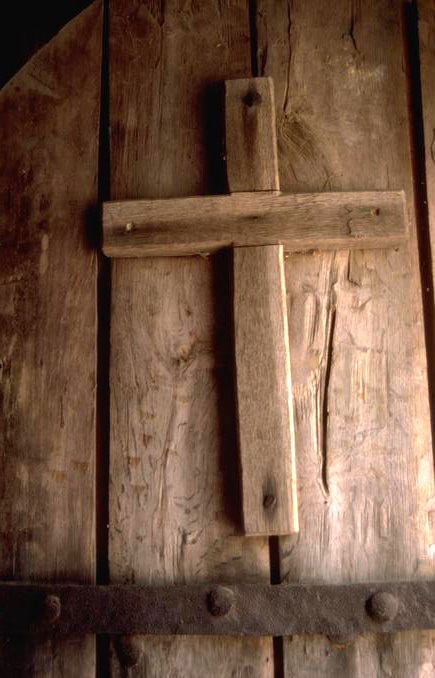 Ultimately, it is in Christ Jesus that the total manifestation of God’s faithfulness arrives in history, the crucifixion of Christ being the “culmination of the gaze of faith; in that hour the depth and breadth of God’s love shone forth” (LF 16). It is a total gift of self that precedes us and allows one to entrust themselves completely to the utter reliability of God’s love, manifest not only in this death-in-love but in his rising in love, a “tangible and powerful love which really does act in history and determines its final destiny, a love that can be encountered” (LF 17). It echoes the thought of Ratzinger for he affirms elsewhere, “Christian faith is more than the option of a spiritual ground to the world; its central formula is not ‘I believe in something’ but ‘I believe in you’. It is in the encounter with the man Jesus, and in this encounter it experiences the meaning of the world as a person.” (Ratzinger, Introduction to Christianity, 79). After a brief word on the ecclesial form of faith, perhaps surprisingly brief given the demise of the Church’s credibility in the wake of the abuse scandal, the encyclical turns to the relation of faith to the truth which human beings seek (the theme of the Church is picked up again in Chapter 3 of Lumen Fidei though, again, without any theological treatment of sinfulness within the Church). Engaging an epistemology that may not be accessible to all, Lumen Fidei then goes on to underline the significance of truth for faith. Without truth, faith remains only “a beautiful story, the projection of our deep yearning for happiness, something capable of satisfying us to the extent that we are willing to deceive ourselves” (LF 24). Knowledge of the truth, Lumen Fidei asserts, is to be found in love which cannot be reduced to ephemeral emotion but is, most deeply understood, union with the Other. Without this love, “truth becomes cold, impersonal and oppressive for people’s day-to-day lives”; without truth, love becomes mere sentimentality, a fleeting emotion and cannot be a ground on which a future can be sustained. Love without truth “cannot stand the test of time” (LF 27). It is this discovery of love as a source of knowledge, as an interpersonal communion built upon truth that is capable of pointing us toward our ultimate fulfilment, that finds expression in the biblical understanding of “faith” (LF 28). The light of faith is an incarnate light radiating from the luminous life of Jesus. It also illumines the material world, trusts its inherent order and knows that is calls us to an ever widening path of harmony and understanding. The gaze of science thus benefits from faith: faith encourages the scientist to remain constantly open to reality in all its inexhaustible richness. Faith awakens the critical sense by preventing research from being satisfied with its own formulae and helps it to realize that nature is always greater. By stimulating wonder before the profound mystery of creation, faith broadens the horizons of reason to shed greater light on the world which discloses itself to scientific investigation (LF 34). As Fides et Ratio affirmed for philosophers so it may be said for the scientist, “it is necessary not to abandon the passion for ultimate truth, the eagerness to search for it or the audacity to forge new paths in the search. It is faith which stirs reason to move beyond all isolation and willingly to run risks so that it may attain whatever is beautiful, good and true. Faith thus becomes the convinced and convincing advocate of reason” (FR 56). As it has been said, it is faith that challenges reason to more audacious undertakings. The third and penultimate chapter of Lumen Fidei expands on the ecclesial context of faith that is only touched upon at the end of Chapter One (LF 22). Addressing the maternity of the Church, as one who brings about the birth of Christ in the believer, the encyclical draws attention to the living tradition of the Church. The Church passes on the light of faith through the generations, “just as one candle is lighted from another”, an image that certainly recalls Pope Francis’ preaching style. 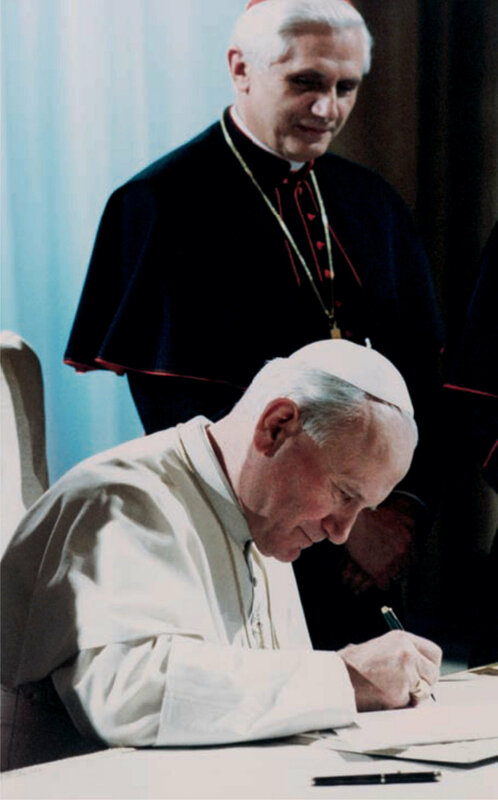 Raising the question of the verification of knowledge, the encyclical underlines the relational way in which knowledge is transmitted, “Language itself, the words by which we make sense of our lives and the world around us, comes to us from others, preserved in the living memory of others. Self-knowledge is only possible when we share in a greater memory” (LF 38). This sociological reality illuminates the theological significance of the Church as a “remembering subject” for it is this living communion that precedes us, and into which we are baptised, that teaches us the very language of faith. In plain terms, the Church came before us and rather than stifling our personal engagement with God in Christ, this very fact makes possible our personal faith with all the riches and insights of those that preceded us. In faith, we respond to a word which did not originate with us – in the language of Lumen Fidei, “Our belief is expressed in response to an invitation, to a word which must be heard and which is now my own; it exists as part of a dialogue and cannot be merely a profession originating in an individual” (LF 39). Ratzinger’s earlier text makes the point in a similar way, “Faith comes to man from outside. . . [It is] not something thought up by myself; it is something said to me . . . This double structure of ‘Do you believe? – I do believe!’, this form of call from outside and the reply to it is fundamental to it” (Ratzinger, Introduction to Christianity, 91-2). The ecclesial form of faith also expresses itself in the Church’s sacraments which “communicate an incarnate memory” (LF 40). Lumen Fidei even intimates the sacramental structure of faith itself for “the awakening of faith is linked to the dawning of a new sacramental sense in our lives as human beings and as Christians, in which visible and material realities are seen to point beyond themselves to the mystery of the eternal” (LF 40). Following this there is catechesis on the sacraments of baptism, confirmation, Eucharist, the creed, the Decalogue and prayer before the fourth chapter turns to the social consequences of the nature of faith outlined. 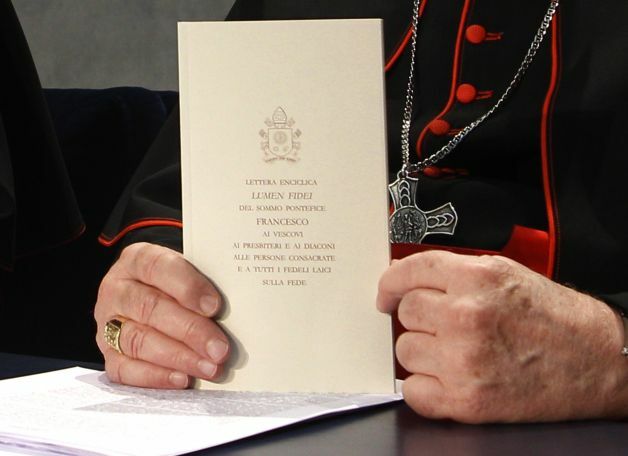 In continuity with Pope Francis’ preaching on the sociality of faith and the Church’s mission, the encyclical concludes by relating faith to the common good, affirming faith not as a privatised journey of introspection or pious isolation but a “process of building, the preparing of a place in which human beings can dwell together with one another” (LF 50). Faith does not only provide interior firmness, it also allows the believer to see others in their inherent dignity and vocation, born of love for union with God’s own self. Faith, because it is loving, does not draw believers away from the world but ever deeper into the concrete concerns of the men and women of our time. Families and the young are called to be bearers of faith in the midst of the world (LF 52-53) while faith brings as well a respect for creation as a gift for which all are indebted. A powerful section of Lumen Fidei is its treatment of human suffering in which it recognises human pain, hunger and loss is not at all extinguished by faith but placed in a new context of meaning. The encyclical affirms in this regard, “Faith is not a light which scatters all our darkness, but a lamp which guides our steps in the night and suffices for the journey. To those who suffer, God does not provide arguments which explain everything; rather, his response is that of an accompanying presence, a history of goodness which touches every story of suffering and opens up a ray of light” (LF 57). Pope Francis reminds us that it is Christ who has occupied the place of suffering, in the Gethsemane Garden and on the Cross, and as the endurer of humanity’s suffering he will be “the pioneer and perfecter of our faith” (Heb. 12:2) (LF 57). As is tradition, Lumen Fidei concludes with an affirmation of the ‘Marian profile’ of faith for it is Mary who demonstrates the fruitfulness of faith from the Annunciation to the Cross. As figure of the Church and as one whose motherhood extends to each of his disciples, Mary leads us always and only to the blessing of faith which is her Son. Lumen Fidei is a timely encyclical for a challenging moment in the Church’s history, calling for a return to the purity and plenitude of the faith that we have received and are called to live in the present. As this most recent teaching is received and settles within the tradition of the Church (and it calls for future reading together with its forebears Deus Caritas Est and Spe Salvi), many more insights and implications will no doubt come to light. What is obvious by its absence is significant reference to the “new evangelisation” as another manifestation of the Church’s self-understanding (with the exception of LF 42). We might hope that a future exhortation on this subject will build connections and so further expand the implications of faith for the Church’s mission in a new time, in the context of a globalised church and with a variety of ad intra and ad extra influences impacting on the Church’s relation to the world. The announcement overnight of Pope Benedict XVI’s resignation, brought on by age and ill health, brings to an end a remarkable contribution to the life and theology of the Catholic Church. For those who have followed his vocation and studied his thought, Joseph Ratzinger stands out among a generation of European scholars who were integral to the reforms of the Second Vatican Council and who consequently shaped the faith of generations that followed. 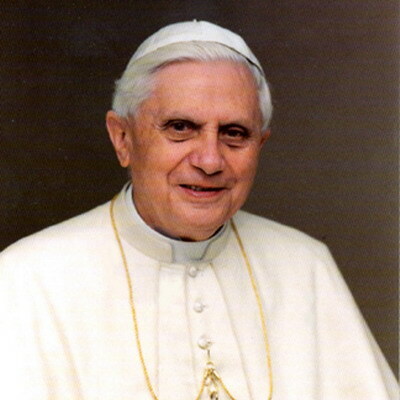 Only 35 years old at the time of his appearance at Vatican II as peritus (theological expert), Ratzinger would go on to become the Prefect of the Congregation of the Doctrine of Faith (CDF), a position he held for some 24 years, serving with vigour and tenacity throughout the pontificate of his predecessor, John Paul II (some have described Ratzinger’s performance during this time, perhaps not unfairly, as ‘intellectually remorseless’). The clarity of Ratzinger’s thought is expressed principally in his writings on liturgy (in which he is influenced by the liturgical movement of the 19th and early 20th centuries) and ecclesiology (grounded in patristic thought, especially St Augustine). The Spirit of the Liturgy and his Church, Ecumenism, Politics: New Essays in Ecclesiology stand out among others. Those who have engaged his work will recognise the abiding influence of the ressourcement movement throughout Ratzinger’s corpus. This influence includes Henri de Lubac whose Catholicism was, in Ratzinger’s own words, ‘a key reading event’. It is an inspiration that goes some way to explaining the Bavarian’s subsequent focus on the liturgy as the bearer of faith, the Church Fathers as monuments of our tradition, and his development of a Eucharistic ecclesiology grounded in the concept of ‘communion’ (the Oxford scholar Aidan Nichols singles out Ratzinger as ‘one of the first Catholic thinkers to adopt a full-scale, systematically elaborated “Eucharistic ecclesiology”’). Ratzinger’s theology of the Church has much to recommend itself for pastoral life today precisely because sound practice can only be established on the basis of a sound theology. Grounded in the ecclesiology of Lumen Gentium, Ratzinger understands the Church not merely as a social organisation but as an organism of the Holy Spirit, encompassing us all from within and bringing about, by Word and sacrament, our genuine ‘contemporaneity’ with Christ in history. For Ratzinger it is the essential sacramentality of the Church, as recognised by Vatican II, which brings out the twofold nature of the Church’s mystery – its visible, external aspect and its invisible, spiritual dimension which form a vital and paradoxical unity. The holiness of the Church consists in that power of sanctification which God exerts in it in spite of human sinfulness. We come up here against the real mark of the ‘New Covenant’: in Christ God has bound himself to men, has let himself be bound by them. The New Covenant no longer rests on the reciprocal keeping of the agreement; it is granted by God as grace which abides even in the face of man’s faithlessness. It is the expression of God’s love, which will not let itself be defeated by man’s incapacity but always remains well-disposed towards him, welcomes him again and again precisely because he is sinful, turns to him, sanctifies him and loves him. Because of the Lord’s devotion, never more to be revoked, the Church is the institution sanctified by him forever, an institution in which the holiness of the Lord becomes present among men. But it is really and truly the holiness of the Lord that becomes present in it and that chooses again and again as the vessel of its presence – with a paradoxical love – the dirty hands of men. It is holiness that radiates as the holiness of Christ from the midst of the Church’s sin. So to the faithful the paradoxical figure of the Church, in which the divine so often presents itself in such unworthy hands, in which the divine is only ever present in the form of a ‘nevertheless’, is the sign of the ‘nevertheless’ of the ever greater love shown by God. The existing interplay of God’s loyalty and man’s disloyalty which characterizes the structure of the Church is grace in dramatic form. . . One could actually say that precisely in its paradoxical combination of holiness and unholiness the Church is in fact the shape taken by grace in this world (p. 341-342). The objective holiness of the Church as a sacrament of God’s grace, despite its human frailty, is inexplicably bound up for Ratzinger with the centrality of the Eucharist in the Church’s life and identity. In fact, Ratzinger locates the birth of the Church not so much at Pentecost but at the Last Supper, which signifies and effects the incorporation of the faithful into the body of Christ. Hence, the importance of the Eucharist in the realisation of the Church’s identity and mission as Christ’s body in the world. Ratzinger’s recognition of the Church’s twofold nature and appreciation of the Eucharist as the sacrament of Christ’s holiness, and therefore of hope for the Church, brings great comfort as well as challenge to Catholic faith in this moment of history, particularly amid the ongoing scandal of the sexual abuse crisis which has cast a shadow over the promise of Catholic faith. 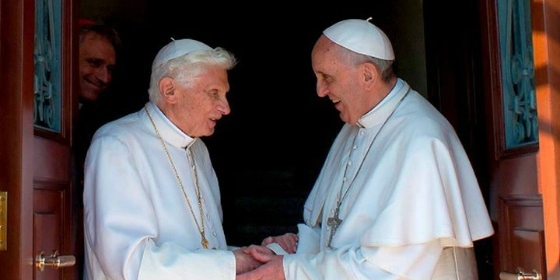 No doubt the news of the Pope’s resignation will focus not on the theological achievement of Joseph Ratzinger but on many broader issues including the state of the Catholic Church itself and calls for sweeping (and likely immoderate) ecclesial reform. As one commentator noted overnight, the media will largely miss the significance of Ratzinger as it has over the past eight years of his pontificate. There will be a popular perception that he lacked the personality and impact of his predecessor but these judgments are more likely to be made by those who have never read his work. For those who know as much about Catholicism as they do about the Bhagavad Gita, nothing much will have changed. However, for those who share faith and an appreciation of the Church’s living tradition, which demands the living and articulate faith of graced individuals, the contribution of this Bavarian theologian is cause for thanksgiving.